The aspect and the history of the chairs of “his holiness” are illustrative of the claimed dignity to which they serve as seat. Of between the used ones for the pontiffs it emphasizes “the gestatoria”. 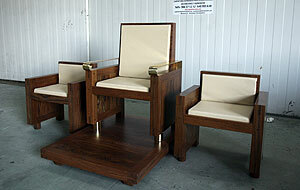 Left definitively by Juan Paul II, it is the obliged modal in what to papal chairs it refers. Curiously, some voices indicate the interest of Benedicto XVI to recover the use of the gestatoria, a use that it was including to be carried on the backs of four public inspectors. 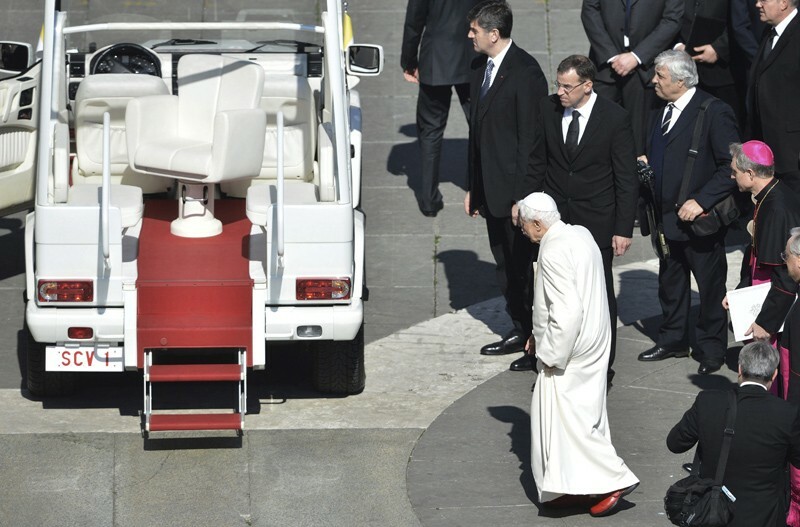 In spite of the complaints on the part of the public inspectors on the speed with which the papamóvil moves, the seat used by Benedicto XVI was lacking safety belt. The traditional sobreelevación of the chair of the pontiff resolves by means of a sophisticated pneumatic mechanism. This mechanism joined the light tone ivory – beige and to the forms shyly rounded of the piece they give him the aspect of a genuine gerontology device. Model 2. Sitting cathedra in the cathedral. The whole example of good faith. A company of the capital of the furniture “gives” the set of seats of the pontiff and accompanists. 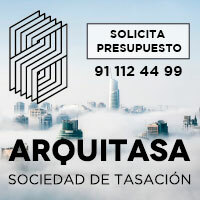 The bad languages, nevertheless, indicate that the company of offering carpentry would have obtained notable advertising thanks to his “donation”. The design is a graceful lace of opposite: the simplicity and wildness of the vote of poverty with the luxury of the white leather and the stainless steel; nobility in the materials, austerity in his aspect, inconvenience in his use; the positions strictly organized into a hierarchy of the sedentes contrast with the modern language. 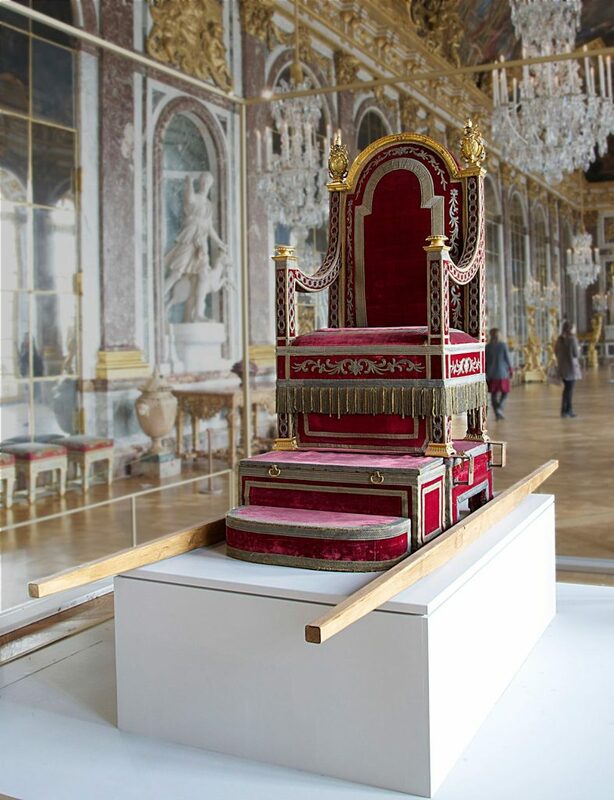 A few chairs-specially those that they accompany on the papal throne – that well they might form a part of an attic of bachelor or of the consultation of a modern dentist. Model 3. The hollow chair. Benedicto XVI informed in the square of the Obradoiro a magnificent ceremony in which the liturgical head-board was an authentic set of television. Thought for his retransfer, the design of the space concerning the pontiff was including all the details and, certainly, the furniture. Provisional and hollow, like that it was the scene of his holiness. These characteristics – probably also you value – were present also in the papal throne, an austere faithful seat to the aesthetics “pladur look total”. Model 4. The faithful chair. 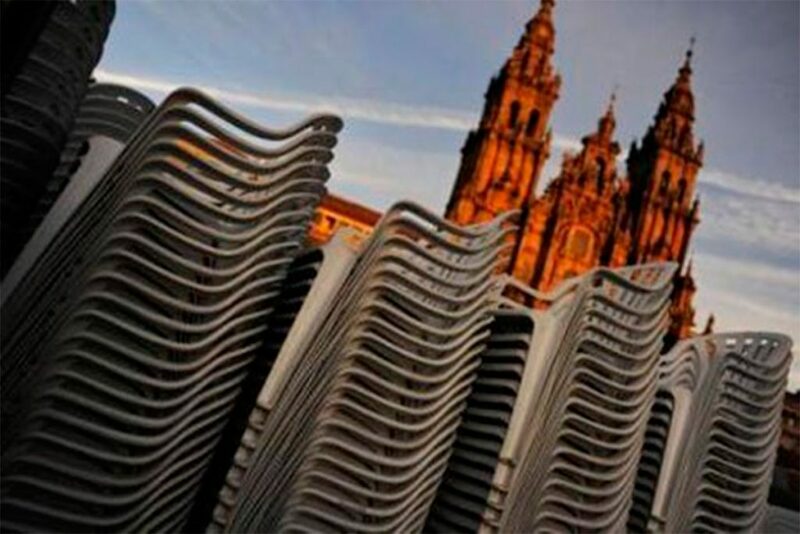 Of shaped plastic and apilables, the real protagonists in the Obradoiro square were the chairs of the public inspectors. Faithful chairs to his function, public inspectors to the material and to the technology of manufacture. They were thousands and were white. Model 5. 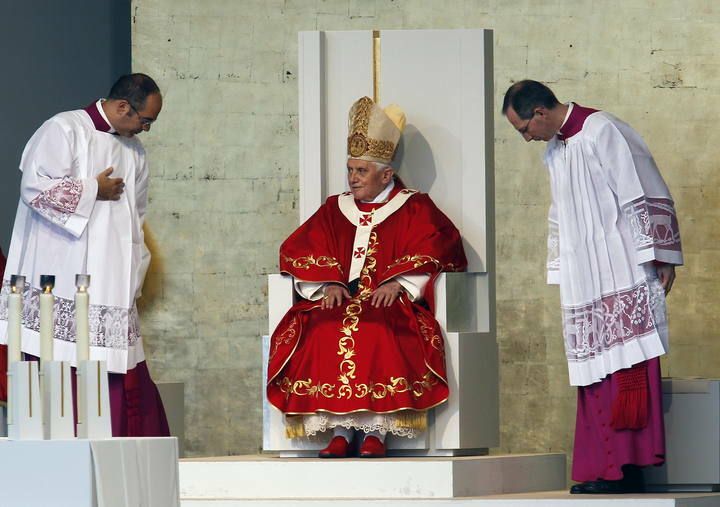 Benedicto XVI in the capital of the design. Now that the basilica of the Sacred Family has been dedicated we can affirm definitively that we will never know the space dreamed by Gaudí. 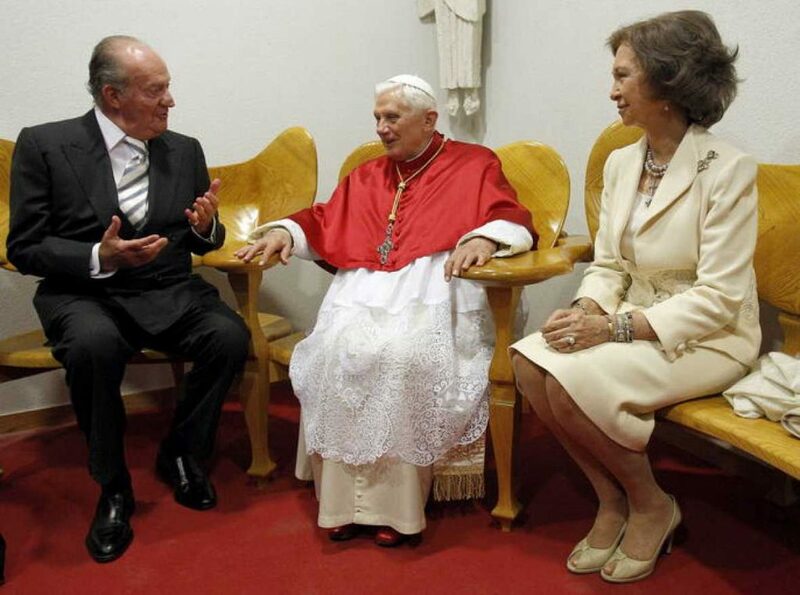 Nevertheless Benedicto XVI had the opportunity to experience the conception of the space and the construction of the Catalan Teacher across his chairs. You fill of force and of life, removed from the easy rhetoric, Gaudí’s constructions have an uncompromising dignity, it is not any more that to see the naturalness with which the expert actors manage in such a sophisticated environment.